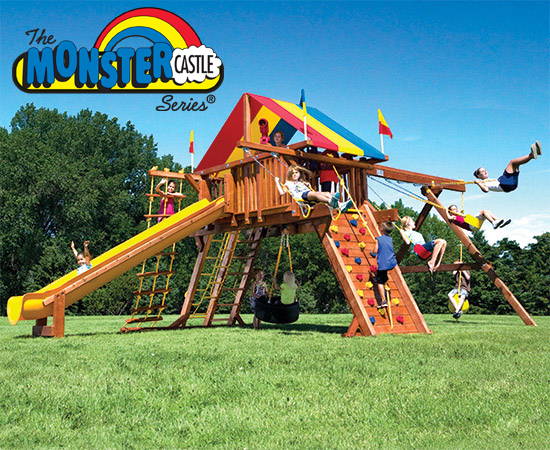 One thing that makes a Castle a Castle is the 360° tire swing below the play deck. 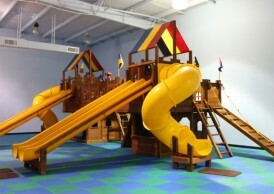 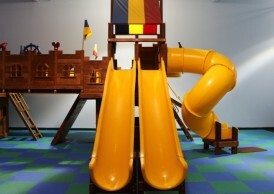 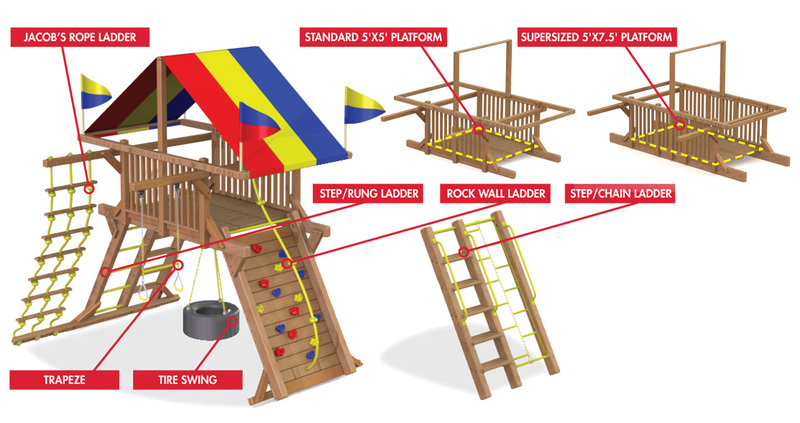 A Castle also has two ladders, one on each side, for entering the fort and is an essential part of the basic structure of this style of Rainbow Play System. 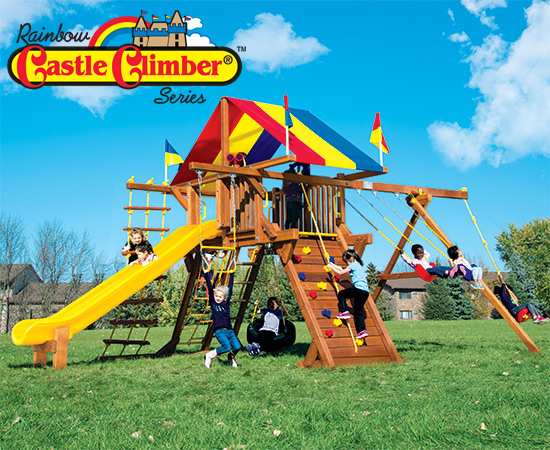 With the different ladders shown below, along with the Jacob’s Rope Ladder that is included with every Castle, this swing set is sure to please your family of climbers. 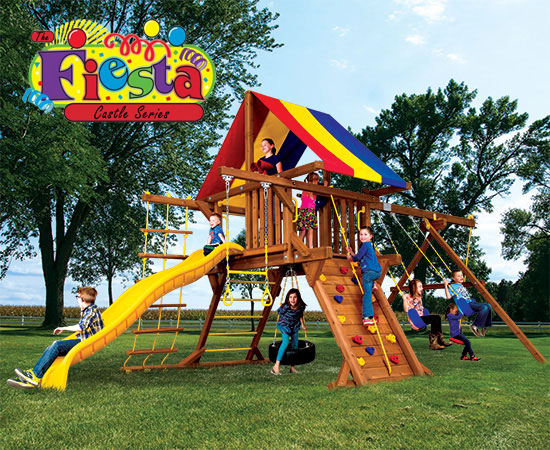 Rainbow Play Systems offers six sizes and seven style options for your castle swing set structure ranging from the compact Fiesta swing sets to the enormous, fully-loaded with endless options and add-ons King Kong swing sets – and everything in between. 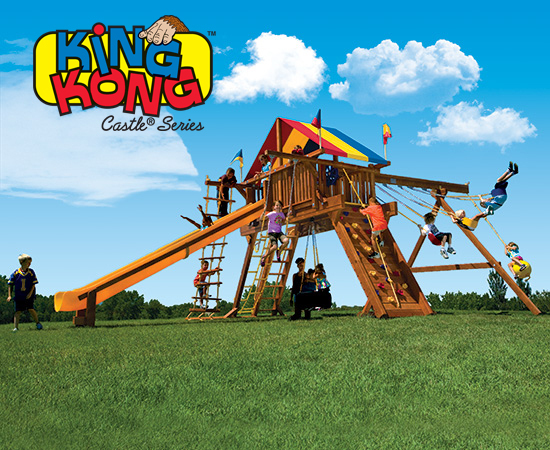 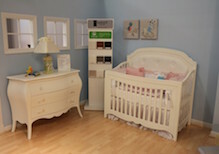 The larger the swing set you choose, the more play areas and accessories you can include in your final dream castle swing set design. 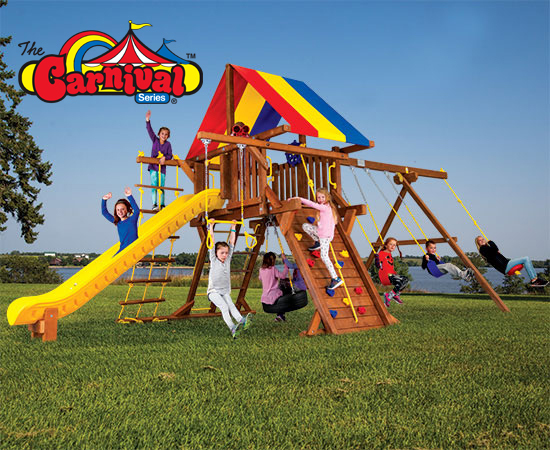 There are some key swing set measurements to keep in mind when choosing which swing set size is right for your family needs and yard size : the unit dimensions will help you decide if it fits in your yard, and the swing beam height, the slide length, and the deck height will all help you decide what is right for your children. 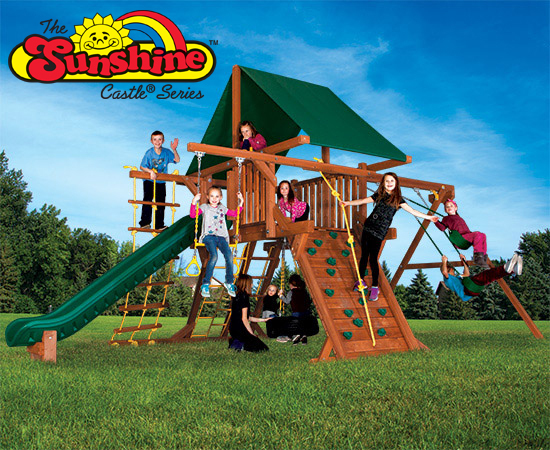 Swing Beam Height: 8' 9"
Swing Beam Height: 10' 6"
Swing Beam Height: 9' 6"